Why do bad things happen to good people? Why does tragedy strike those who love God the most? Why do the good die young? One of the most famous sufferers on Planet Earth asked all these questions. He suffered so deeply that his wife couldn’t stand it anymore. She said to her husband Job: “Curse God and die”. In other words, get it over with. It’s no use. There is no future. You could almost see Job’s wife as the first Euthanasia advocate. Yet rather than choosing suicide, Job clung tenaciously to life. Often human tragedies like the loss of career, family, or home leads to an even greater tragedy – the denial of any meaning to life. This was the great temptation that faced Job, and that faces each of us at least once every 18 months on average. Job went through horrendous suffering for 42 chapters, and yet he never once gave up. He was tormented by insults from his friends, harrassed by their insensitive advice and browbeaten into admitting wrongdoing that he never committed. Under attack, Job groaned, he wailed, he doubted and fell into deep depression, he lashed out like an infuriated animal….but he never cursed God. No matter how discouraged he was, he clung to his integrity. He never gave up his rock-bed conviction that he was not to blame for his terrible illness. Thousands of years later, we modern, scientifically-sophisticated people are still often blaming people when they become sick. Even in 1997, we can too easily be just like Job’s three comforters who just made their friend feel worse. “Oh, you’re sick in hospital with cancer…Obviously you are not thinking enough positive mental thoughts, or jogging enough, or eating enough granola.” One way or another, we can slip into psychosomatically blaming others for their illnesses. Why is it that so many famous writers, poets, philosophers, and scientists have turned time and again to the book of Job? Perhaps because it easily takes its place among the masterpieces of the world’s literature. The author of Job was a poet of rare genius who powerfully expressed our deepest feelings and thoughts. Sooner or later, we all identify with Job because suffering is part and parcel of life. We are bonded to Job through our common experience of pain. Many reject God, but no one rejects Job. Simply by suffering so greatly and hanging on for dear life through it all, Job has won our hearts. 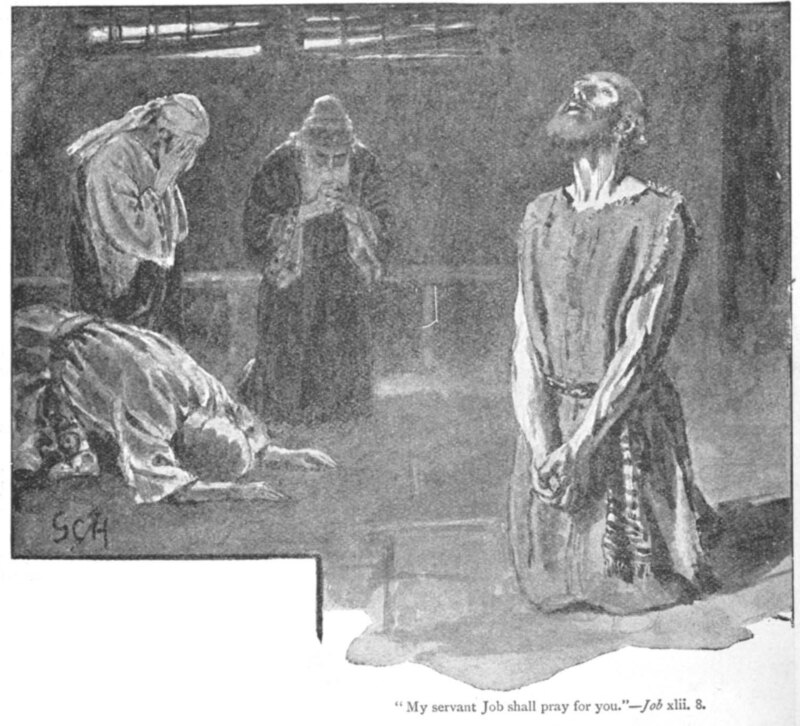 Job in his sufferings, said Mike Mason, resembled Jesus on the cross. The only person who has ever endured more than Job was Jesus of Nazareth. We do not need to have nails driven into our hands and feet to know what a cross is. A cross is a cross. To be crushed is to be crushed, and we all have had a taste of this. Job in his suffering was looking for what could only be found in a manger, on a cross, in an empty tomb. The key to Job’s sufferings, and indeed to life itself, is the cross. Jesus did not rise above suffering; he went through it. Jesus let himself be captured by soldiers, tried by legalists and bureaucrats, condemned by a mob, scourged by mockers, and finally pinned and exhibited like a specimen insect… No amount of suffering could shake either Jesus or Job from their rock-bottom clinging to God. Though he slay me, said Job, yet will I trust in Him. We can either curse God and die, or bless God and live. May we choose Life today that we and our children may live. 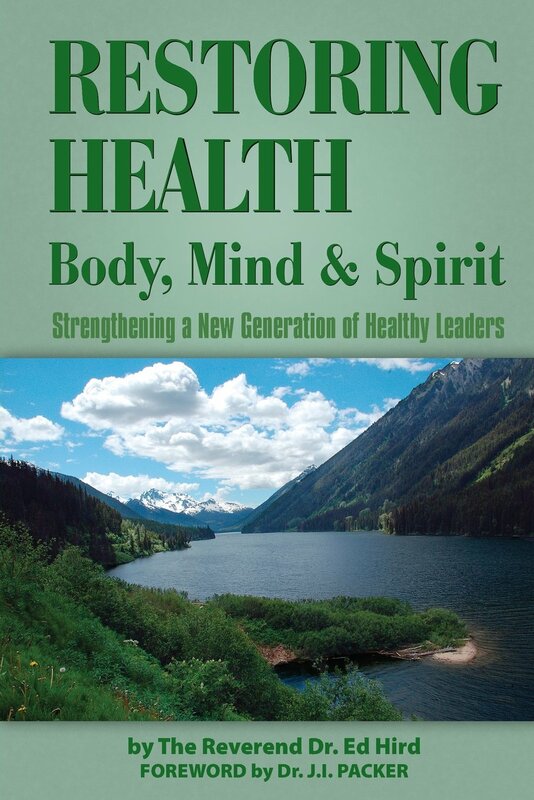 -The sequel book Restoring Health: body, mind and spirit is available online with Amazon.com in both paperback and ebook form.
. In Canada, Amazon.ca has the book available in paperback and ebook. It is also posted on Amazon UK (paperback and ebook ), Amazon France (paperback and ebook), and Amazon Germany (paperback and ebook). 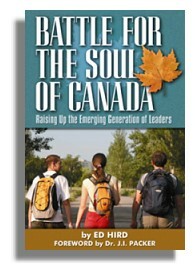 – In order to obtain a copy of the prequel book Battle for the Soul of Canada, please send a $18.50 cheque to ‘Ed Hird’, #102-15168 19th Avenue, Surrey, BC V4A 0A5. Categories: Job, suffering, Uncategorized | Tags: Anglican Mission in the Americas (Canada), cross, Curse God and die, God cares, good die young, illness, Jesus, Job, Job's comforters, Job's wife, Mike Mason, pain, Stephen Lawson, suffering, tragedy | Permalink. Have you ever heard of someone described as having the patience of Job? The person referred to is often either the long suffering wife of an alcoholic or the mother of a large family of nonstop high energy boys. 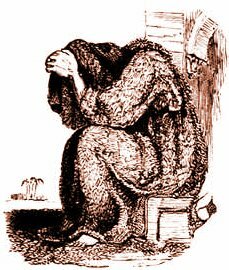 Job, of course, is the most world famous sufferer of inexplicable illness. Do you know when I have most needed the patience of Job? In 1980, I lost my voice for 18 months. That was a very painful time. But in a strange way, almost equally painful are the times when our car breaks down. I feel very attached to our Chevy Minivan, and whenever it breaks down, I feel personally insulted (can anyone reading this relate??). I’m a very ‘up” person, but one of the few times that I feel depressed (usually for about an hour) is when our car becomes unfaithful. It’s times like that, when I start to really appreciate Job. Like Job, I ask: ‘Why me? ?” I mean, couldn’t my car break down at a more convenient time? Have you ever noticed how much car Mechanics resemble doctors? You go to them for One problem, and invariably they find two others. I tell you, it’s enough to drive you to God. 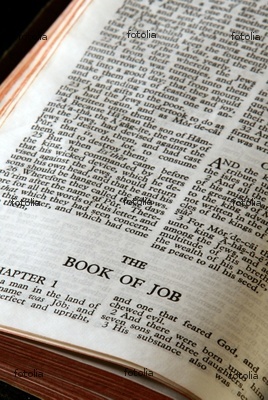 The book of Job is a powerful and challenging 42 chapter long poem. it is a true poem, but a poem none the less. Job is a heartfelt poem about the mystery of evil and suffering. This mystery is something that all of us will struggle with, sooner or later. Regardless of whether we go to church or not, whether we are religious or not, whether we believe in God or not, all of us either have been or will be personally faced with this mystery. There is a best selling book by Rabbi Harold Kushner entitled: ‘When Bad Things Happen To Good People’. That best seller reminds us that sooner or later a tragedy will land at our doorstep, and life will feel very unfair. Studies show that most of us go through some type of crisis once In every 18 months. When serious illness, like cancer, strikes our family, our whole world may feel turned upside down. Why me? ?’ … Why them ? ?”, we may say. No matter how unfair life seemed, Job never lost his faith in his Higher Power. Job was powerless over his illness, but he knew that there was a Higher Power who had the answers to all his struggles. That is why Job said In that midst of prolonged suffering: I know that my Redeemer lives, and that in the end he will stand upon the earth. Job had a faith in God that not even tragedy, sickness, and death could shake. He’d lost everything his children, his business, his fortune, his reputation, his health. He had lost everything, everything except his faith In God. On top of all this, Job had to suffer through the well meaning, but horribly insensitive advice of his four friends. instead of listening to Job and showing that they cared, they blasted him with endless lectures. Their basic message was: “You got what you deserve. It’s your own fault. Anyone who Is sick has done It to himself. God is obviously condemning you for some secret sin. So hurry up and ‘fess up.” The 42 chapter poem made it very clear by the end that Job was not to blame for his sickness, and that we too should not blame others when they are sick. The unfair and mysterious suffering of Job points ultimately to the unfair and mysterious suffering of Jesus on the cross. The cross shows that God can take everything that is against us and turn it to our advantage. God took Good Friday (the most evil day in history) and turned it into Easter Sunday (the most beautiful day in history). My prayer for those reading this article is that each of us, like Job, will find the courage to keep on struggling, even when life seems unfair. Categories: Job, suffering, Uncategorized | Tags: alcoholic, Anglican Coalition in Canada, Anglican Mission in the Americas (Canada), Battle for the Soul of Canada, car troubles, Chevy Minivan, cross, Curse God and die, Easter, God, Harold Kushner, higher power, illness, Jesus, Job, mechanic, My Redeemer lives, patience of Job, poetry, Reverend Ed Hird, St. Simon's Church North Vancouver, suffering, tragedy, Why me? | Permalink.